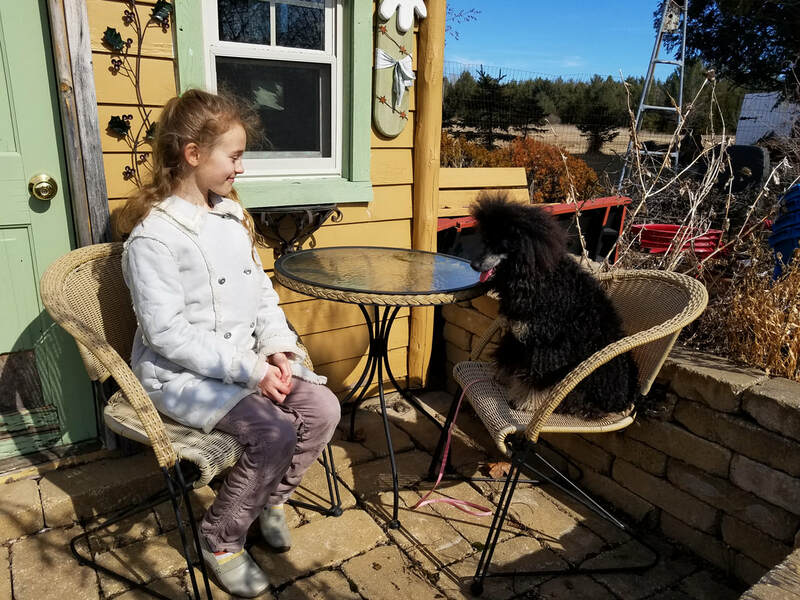 As the only moyen poodle breeder in Northeastern Lower Michigan, our goal is to breed pure poodles that have great structure, out going temperaments and an interesting coat (void of merle coat type). As a family, we each take a role in the upbringing of our poodles; my three children are also very active in taking care of all the pets. It would be very difficult to do this without all of their help and support. Our poodles have also had their DNA tested through UC Davis. None of my dogs are carriers for commonly known disorders. In addition to DNA, tests have been done on eyes, hips, and elbows. Some of our poodles are cleared through parents. Recently, Great Lakes Poodles joined "Betterbred" and ordered diversity tests for our poodle family. What we will gain from this is the knowledge in how related or inbred our poodles are. For more information click the button below. When considering any dog, it is best to research and ask questions. I am happy to share what I have learned, and if I don't have an answer, I can usually direct you to a source that will. We hope you enjoy our dogs as much as we do. 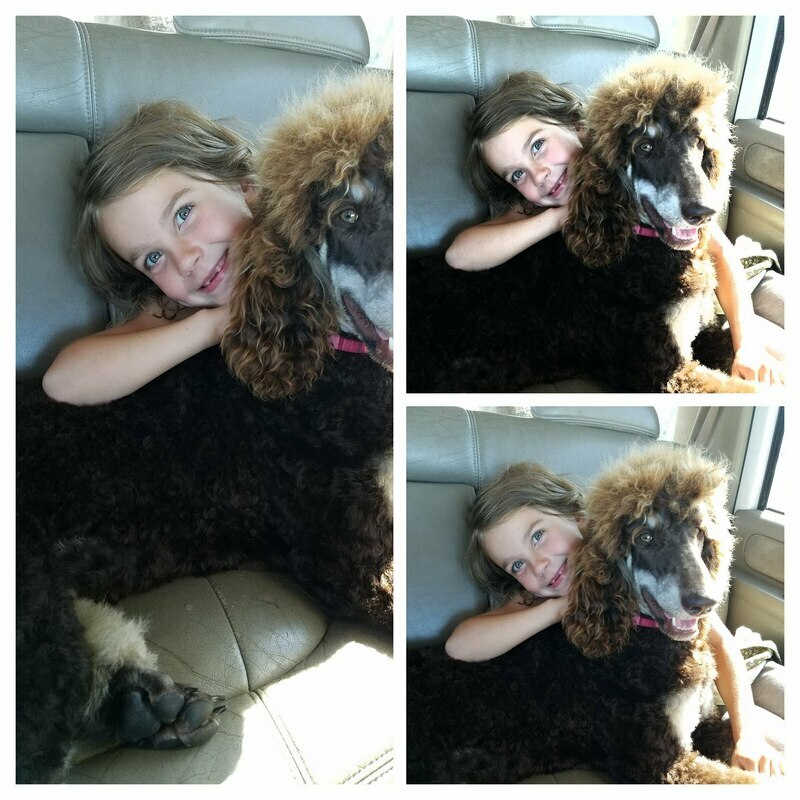 Our journey towards poodles started when my husband became allergic to dogs. At the time, we had four shelter rescues, all lab mixes. I was heartbroken. We re-homed them and waited. It took a while to clean the dog hair out of the house and for my husband to feel better. Meanwhile, I started researching poodles. I had no idea that they could come in so many colors. I fell in love with the parti poodles (short for “particular” for their particular spotting). Shortly thereafter, my husband and I got a male and female parti standard poodle with breeding rights. That was ten years ago. Time passed and my children decided they wanted their own dogs to train and show. So once again, I researched and fell in love with the medium poodle size aka moyen or klein. My mother had left me some money when she passed, and I used it to buy the best poodles I could find. I figured it was fitting since while I was growing up she always said "no dogs". She told me that when I got my own house I could fill it up with whatever I wanted. Well mom, I did! I have great dogs that are sound in structure, smart, and loving. Thank you for your interest in our beautiful and intelligent moyen poodles! Please fill out the new puppy application below. We use this application to help each family choose a puppy that is a good fit for them. Thank you for taking the time to fill out the application. This application does not guarantee a place on the reservation list. The breeder reserves the right to refuse any application. I will contact you either by phone or email a.s.a.p.